All menus are available all of the time in addition to the Brunch menu, which closes at 5pm. Welcome to The White Lion – today TAKING BOOKINGS! 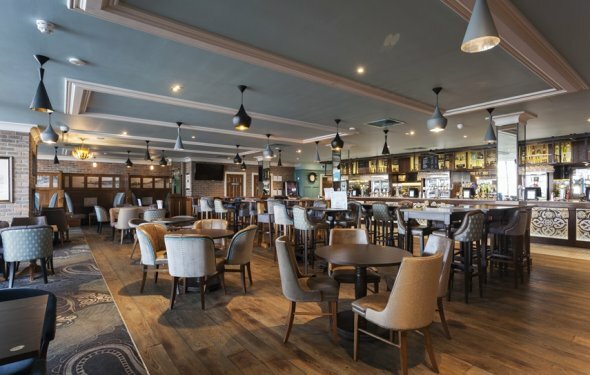 Mezze Restaurants are thrilled to be helping to breathe new lease of life in to the White Lion at Portishead, that has been closed for over a year. The traditional pub, that has been when an old water-mill, is found a quick length from Portishead’s fabulous marina and so a perfect neighborhood hub from which Mezze can attract regular customers. The detailed building features encountered an extensive refurbishment to produce way for a roof terrace, extra eating room and enhanced outside sitting. Work is now full and after a series of pre-launch nights and a VIP night performed by Bristol City Stars Marvin Elliott and Scott Murray with Olympic Gymnast Imogen Cairns, we are today ready to accept people. Select from over 50 mouth-watering Mezze dishes ranging from conventional Greek and Spanish themed tapas to Indian, Chinese, Moroccan and Mexican dishes, or full a La Carte selection. All our delicious dishes developed by our head cooks who possess gained experience at a few of the top restaurants within the the west including Browns, Severn lose, Aqua, Melbournes and Redcliffs. Bookings are completing fast so kindly give us a call beforehand to prevent frustration! Mezze within White Lion is the 6th Mezze Restaurant to open up within the the west region after our fresh addition in Clutton in 2010. Mezze spokesman, Alex Tryfonos, stated: “Our restaurants are well-known because of their trademark Mediterranean impacts but our Portishead location includes a bar to enjoy drinkers as well as our extensive restaurant areas.